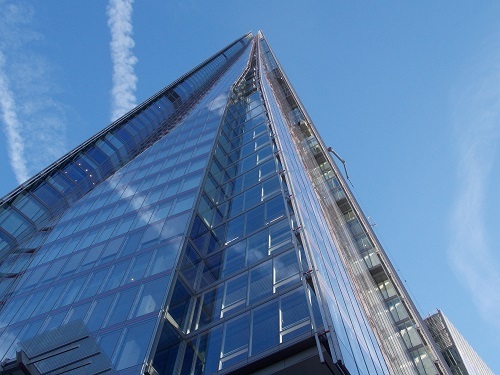 Since its opening in 2013, The View from The Shard has established itself as a major attraction in London. To illustrate why ? 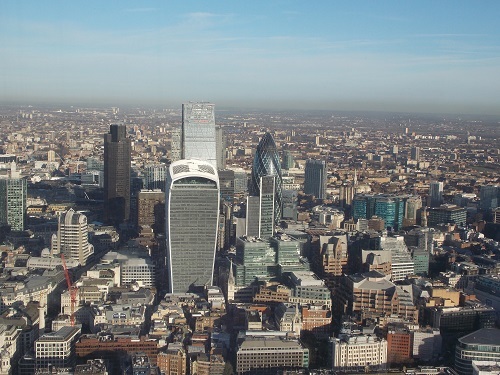 we are going to take you on a journey to the highest vantage point of any building in Western Europe. 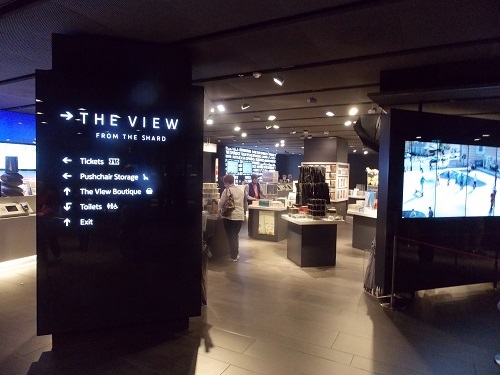 The entrance is situated next to London Bridge station and the ultra modern ticket and foyer area is full of screens that tell you a little about the attraction and the London Bridge area. Unlike many attractions there is very little waiting times as tickets are allocated in time slots, after going through security you are escorted to the lifts. Visitors can travel in four separate lifts up and down to the viewing galleries. The lifts travel at six metres per second, making the total lift journey time from Level 1 to level 68 around 60 seconds. 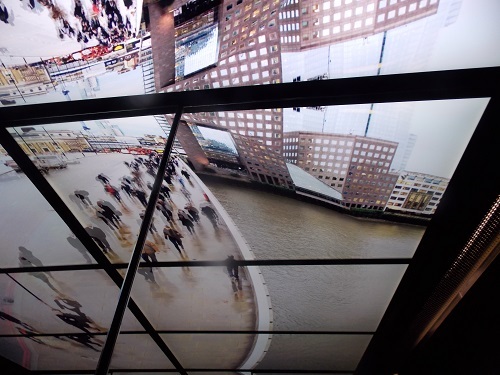 Although this seems extremely fast, there is entertainment in the ‘kaleidoscopic’ lifts which use video screens and mirrors to create the effect of soaring through iconic ceilings and roofs of London. 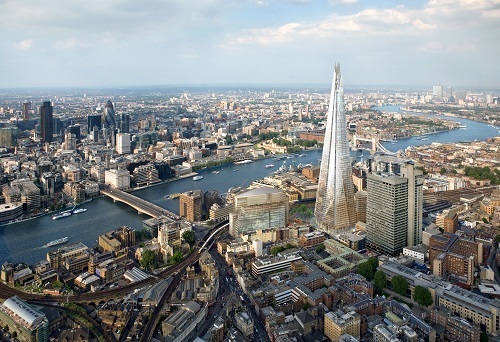 As you travel towards the pinnacle of The Shard, it seems that the lifts pass through the dome of St Paul’s Cathedral, the Rubens ceiling at the Banqueting House in Whitehall, the spiral staircase at Monument, and the British Museum’s Great Court glass roof. Time in the lift is limited because on Level 33, visitors transfer to other lifts to make the final ascent. Visitors depart the lifts at The Cloudscape level 68. 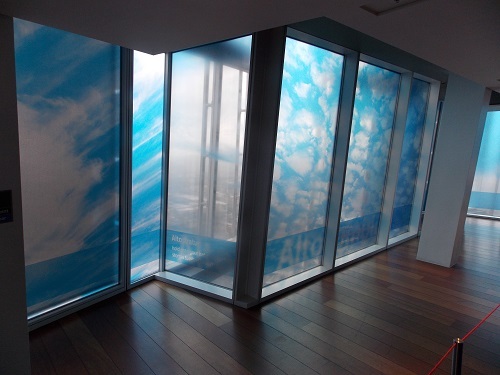 Here the view is obscured with cloudscapes that tease the visitor and delays the excitement until you reach Level 69. 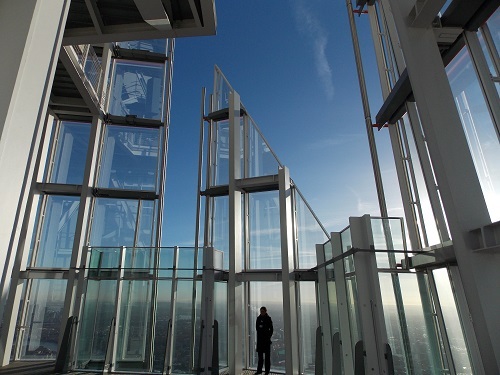 Level 69 is the triple-height, light-filled, main viewing gallery where amazing, 360 degree views for up to 40 miles (64km) over the capital are revealed. You are now nearly 244m (800ft) high and the familiar sights take on a very different perspective, looking down on the skyscrapers in the nearby City of London is quite a strange experience. But it’s probably the meandering river Thames and the snaking trains moving in and out of London that catch your eye first, however when you have got your bearings you begin to recognise many of London landmarks. In the North there is Wembley Stadium and Alexandra Palace, in the East is The Olympic Stadium, the Tower of London, Tower Bridge, Canary Wharf and the Thames Barrier. The South is probably the most difficult to pick out landmarks other than Battersea Power Station and The Oval cricket ground. In the West is St Paul’s Cathedral, Big Ben and the Houses of Parliament and Buckingham Palace. Also in the West is the London Eye which seems like a small play wheel next to the river. 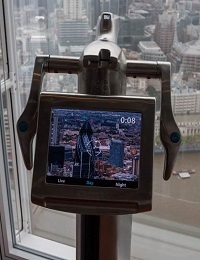 If you cannot find landmarks yourself, you can use the ‘Tell:scopes’ – ultra high-tech digital telescopes,The Tell:scopes enable visitors to explore the city around them in real time, as well as offering alternative (pre-recorded) day and night-time views. Fully interactive, they are able to identify over 200 famous landmarks and places of significant interest and offer information about them in 10 languages. Level 72 at the very highest public level of the building, partially open-air and exposed to the elements, visitors are surrounded by the giant shards of glass that form the top of The Shard. This level unlike the level below is an unusual experience which makes you realise that you are standing high above London with little above you other than large shards of glass. 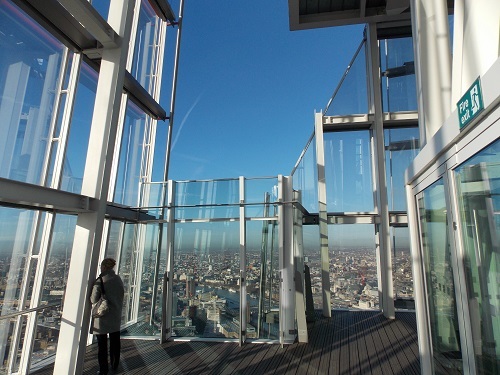 There is no time limit to your stay on the viewing platforms but there is no seating and only The Sky Boutique – the highest shop in London to offer an alternative to the views. Visitors who wish to descend go to the multimedia-enhanced lifts that reflect the trip back down to earth. The sky recedes, the seasons change, and the hustle and bustle of the streets of London comes into focus. Visitors arrive back in the ground floor gallery, and an extensive gift shop. 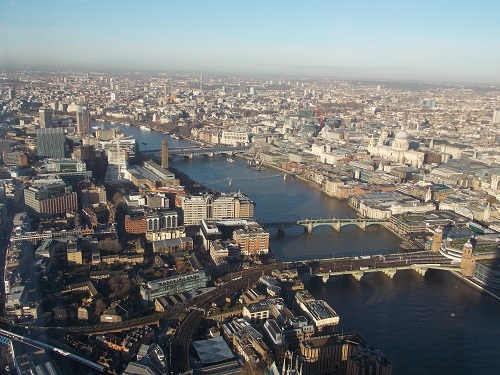 The View from Shard is unlike any other view in London and is really not advisable for those with fears of heights, its uniqueness and seamless organisation offers considerable advantages over other height related attractions such as the London Eye. To test this on my visit I took along my seven-year old granddaughter, she has been on the London Eye and other height related London attractions so has no fears of heights. 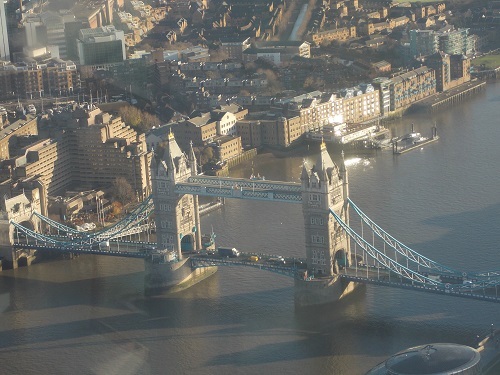 One big bonus point for the View from the Shard was the lack of queueing which meant the children do not have time to get fractious before going into the attraction. When we entered the attraction, she enjoyed the multimedia in the foyer and the lifts and was taken aback with the views from the viewing platforms, she had considerable fun pointing out different landmarks and taking photographs. She enjoyed the Tell:scopes which were easy to operate and offered alternative views over time, however on Level 72 she was not too pleased to see it was open and quickly went back to the lower level. Her reaction and watching other children on the viewing platforms led me to believe that the attraction is wonderful for children but probably those over the age of five, younger children than this would probably get very little from the experience. Older children would generally really enjoy the experience, even teenagers seemed genuinely excited to be high above the London streets. 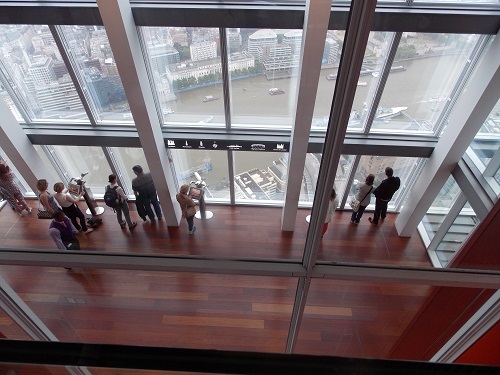 The View from the Shard often offers Children go Free periods, these would be well worth taking up if you are on a tight budget. It will appeal to most age groups , but is probably not ideally suitable for very young children. By londonvisitors2014 in London Attractions on July 18, 2014 .